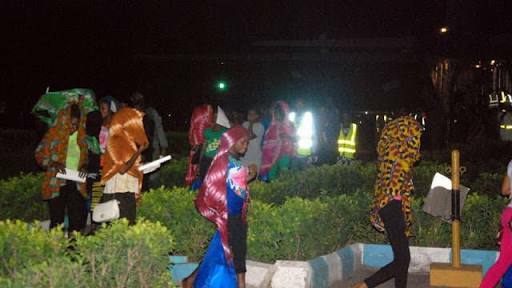 The Federal Government on Monday evacuated 41 Nigerian human trafficking victims from Bamako, Mali. Senior Special Assistant to the President on diaspora matters, Abike Dabiri-Erewa and officials of the National Agency for Protection and Trafficking in Persons (NAPTIP) received them at the airport. The young women arrived Murtala Muhammed International Airport in Lagos aboard a Nigeria air force plane. Dabiri-Erewa said President Muhammadu Buhari had given a directive to evacuate any Nigerian stranded outside the country. She said the girls were tricked, while stating that they will be rehabilitated. “They were deceived into embarking on the journey. We will ensure we train them to the state of proficiency in different vocations, after which we will trace their parents and counsel them,” Dabiri-Erewa said. “We will monitor the girls for two years so they do not sell their vocational equipment. It goes beyond poverty for them to embark on such a mission.